Brought to you by Les Enfants Terribles and ebp, the team behind the Olivier Award-nominated smash hit Alice’s Adventures Underground, in association with gastronomic wunderkinds Bompas & Parr and creative wranglers Creature of London, Dinner at the Twits is a gloriously gruesome interactive theatrical dining experience that will blow your mind and tickle your tastebuds. Les Enfants Terribles’ previous work includes multi-award-winning, international stage shows, including The Trench, The Terrible Infants and The Vaudevillains. Based on the best-selling and much-loved title from the world’s number one storyteller. For the very first time join two of Roald Dahl’s most exquisitely appalling characters, Mr and Mrs Twit, inside their windowless house and ghastly garden for a grown-up journey down memory lane. But be warned: Dinner at the Twits is not for the faint of heart or soft of stomach! 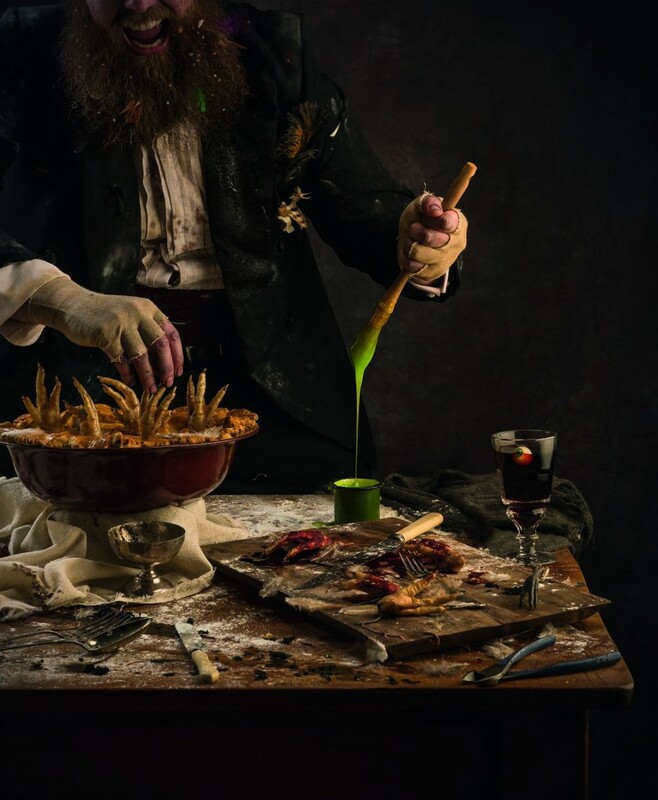 Your evening will include a banquet of deliciously disgusting dishes, to be enjoyed with homemade cocktails, Mr Twit’s special brew and Mrs Twit’s potent punch. Fish the glass eye from your cocktail, take a slice of bird pie, and enjoy all manner of fabulously foul food while being entertained by your horrid hosts. Celebrating a hundred years of Roald Dahl, in a year filled with gloriumptious treats, Dinner at the Twits is designed specifically for grown-ups – no chiddlers allowed! Roald Dahl’s unique blend of macabre humour and quirky warmth has endeared him to generations of children and adults. Dinner at the Twits is the first adaptation of one of his children’s titles specifically created for adults.